School Council have had SUCH a busy half term and are a credit to themselves and their class friends who they represent. 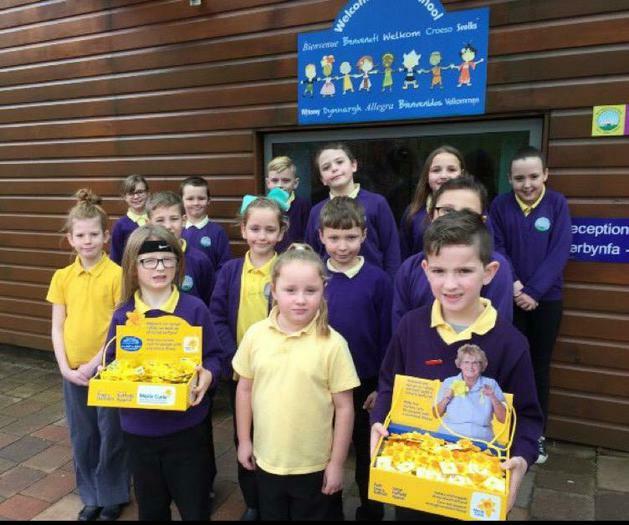 Following a recent meeting I am very proud to say Nant Celyn School Council have agreed to support Marie Curie Cancer Care charity alongside this year's Eisteddfod celebrations. 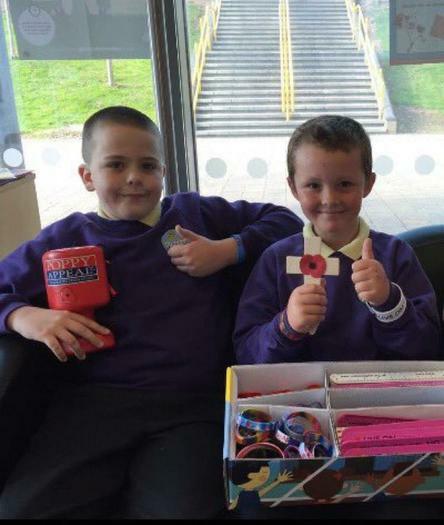 They have been busy making posters and selling daffodil pin badges to raise awareness of a fantastic charity. I am sure they are going to raise a huge sum of money which I cannot wait to share with you very soon!! At the beginning of October we held class elections and a boy and girl were nominated from each class to share ideas and feed back to their friends. Straight away the new Council adopted the ethos that Nant Celyn pupils 'Have A Choice...Have A Voice'. Here is a summary of the many important issues School Council supported during this first term. 1)Their first task was to evaluate the After School Clubs that we had during Summer term and recommend any changes. They all felt there should be far more 'Sporting' options available. Therefore, Judo, Creative Dancing, Gymnastics and Street Dance were available for the first time. For a full list of clubs please follow the link from the Home Page. 2) Nant Celyn Primary were awarded Level 5 Healthy School Awards in July 2016 and we are incredibly proud of this amazing achievement . School Council for 2016-2017 are now supporting numerous projects to continue out great work and we will hopefully be accredited with Level 6 by July 2017. We will keep you posted! 3) All of the Council were actively involved supporting the British Legion 2016 Poppy Appeal. They gave up precious break and lunch time to sell poppy pencils, slap bands, bracelets and many other items. We raised an incredible sum of money to support an important charity. Thanks to you all for helping us.